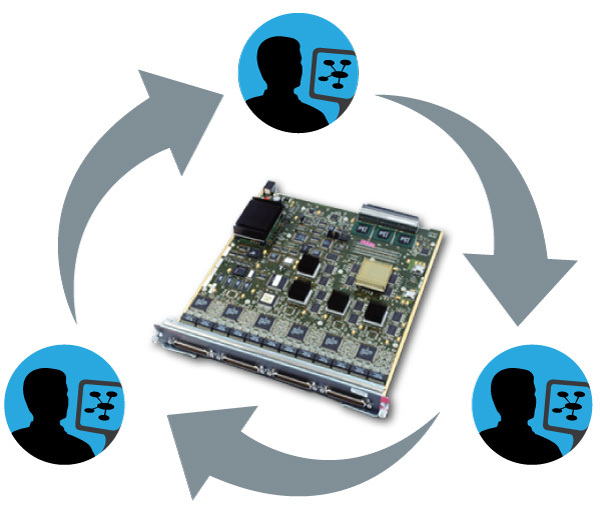 Cadence® Allegro® PCB Designer Team Design Option provides engineers much-needed structure with flexibility for large time-critical projects, while accelerating the design-creation process. Engineers working as a team to design PCB often use home-grown approaches to merge and manage work done by team members. Such approaches can prove to be expensive when mistakes are found late in the design cycle. The Allegro Team Design option enables structured team design for design authoring and PCB layout to help improve your team’s work efficiency and shorten your design cycle. Allegro PCB Team Design Option adds physical design partitioning technology to Allegro PCB Designer. Designs can be partitioned into multiple sections or areas for layout and editing by several design-team members. You can view all partitioned sections and update the design view for monitoring the status and progress of other users sections.